Each Weight Plate has triple grip handles (tri-grip plate). EZ for being used as hand weight method. 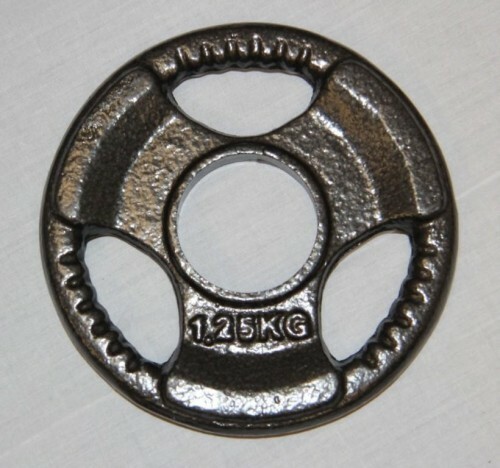 Plates available in 1.25kg, 2.5kg, 5kg, 7.5kg 10kg, 15kb, 20kg and 25kg. The weight prices are calculated at $2.50 per KG... the Market Retail Price is $5/KG.